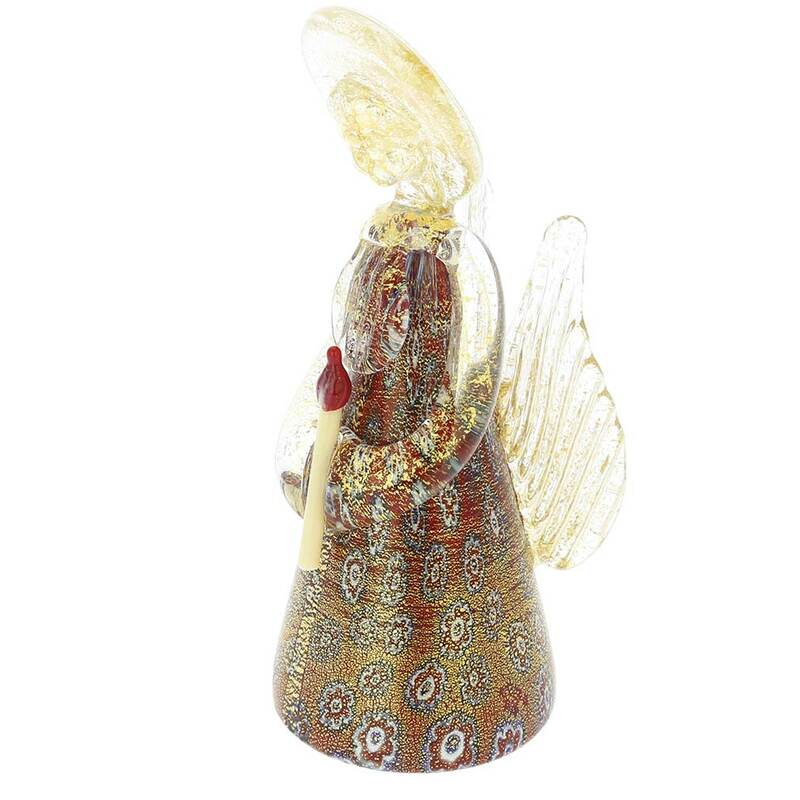 This stunning Murano Glass Angel is handcrafted in one of the oldest glass-making workshops on Murano Island in Venice. 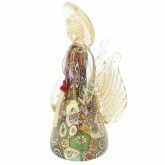 The bright mosaics of the Angel's dress and pure 24K gold infused in the dress, the halo and the wings evoke heavenly beauty and magnificence of Venice. 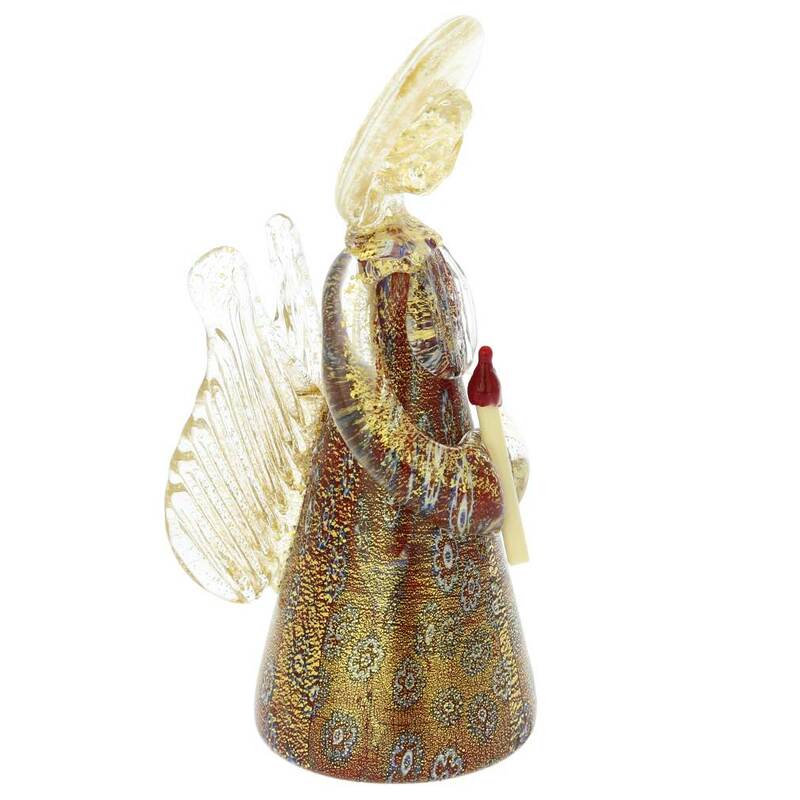 Measurements: The Angel is 4 inches tall. 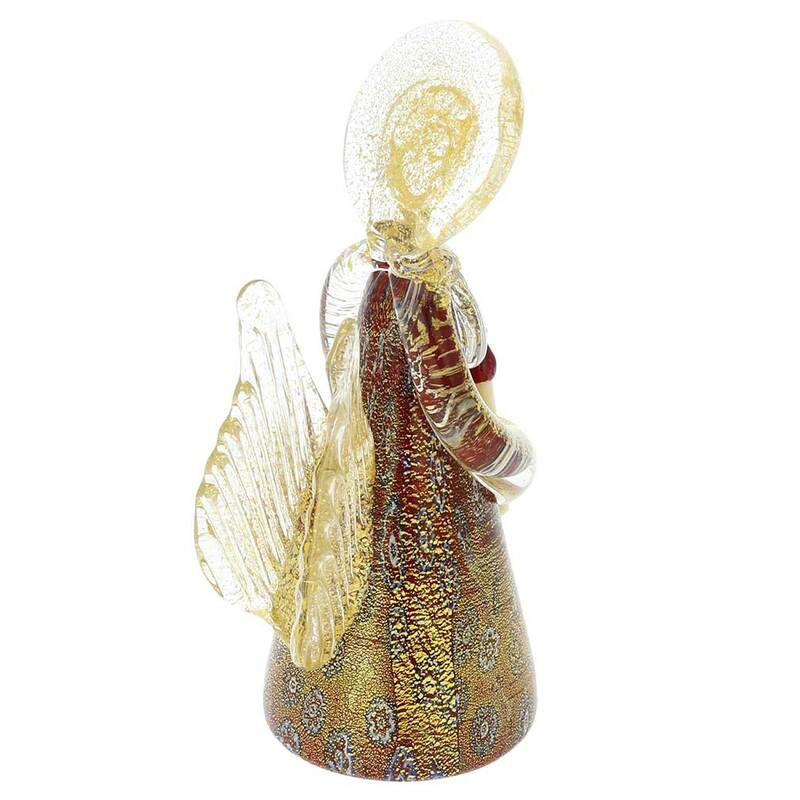 The base measures 1 3/4 inch. 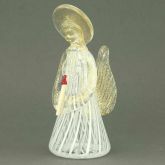 The halo is 1 1/4 inch in diameter. The figurine comes with the certificate of authenticity. It is very well packaged to avoid damage in transit. 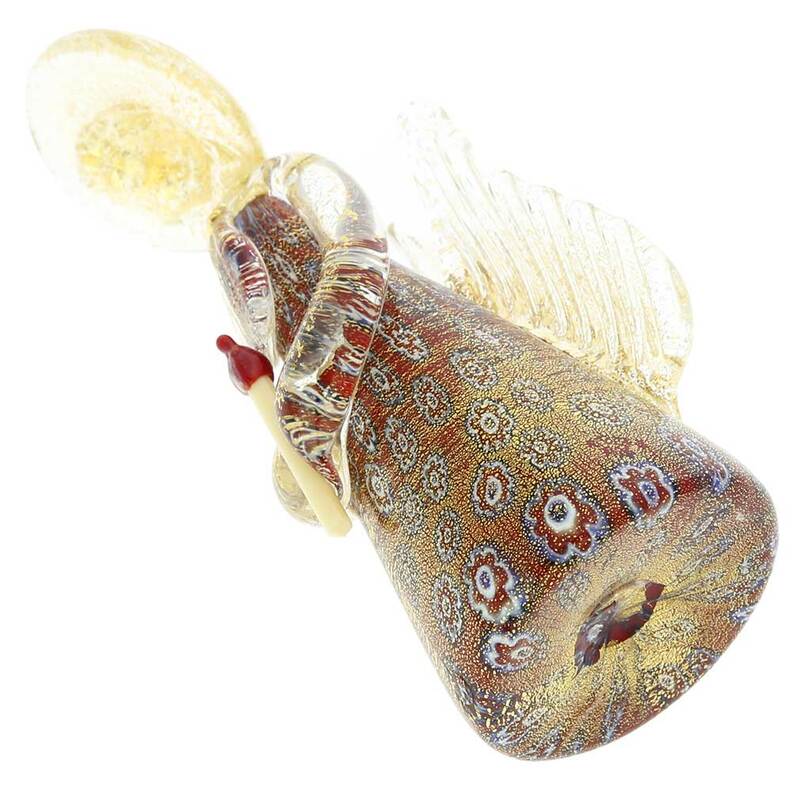 Because each Murano Glass item is a unique work of art made by hand, slight variations of colors and patterns are possible.